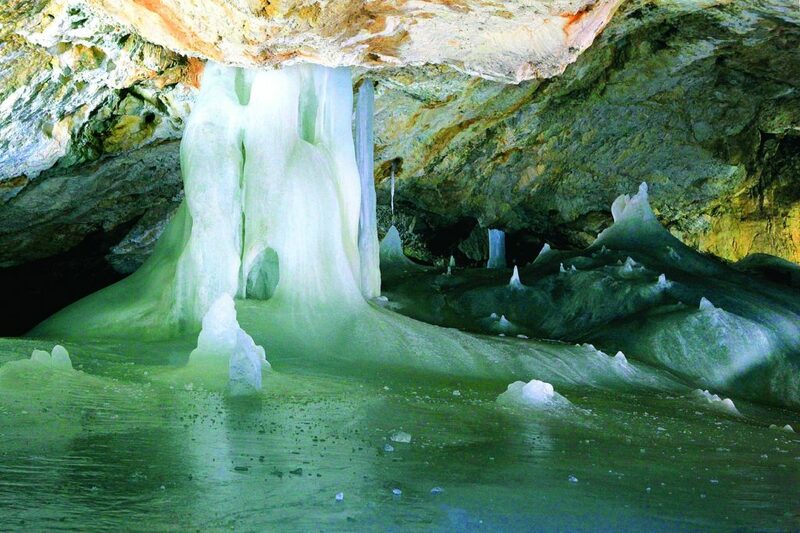 The national natural heritage Dobšinská Ice Cave is included in the UNESCO World Heritage as the lowest situated ice cave in the world. It has been available for the public since 1871. The electricity was installed shortly after in 1887, which made it the first electrically illuminated cave in Europe. 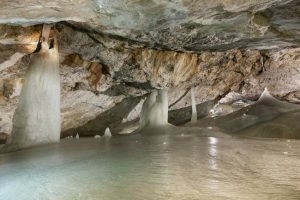 The ice covered area in the cave is 110 000 m³. The 475 metres long pathway with 500 steps is available for the public. The whole tour takes approximately 30 minutes. You can reach the cave by following a kilometre long educational pathway starting at Touristic information centre of Dobšinská Ice Cave situated in 130 m elevation. The visiting period is from May 15 until September 30. September 9:30am, 11am, 12:30pm, 2pm.